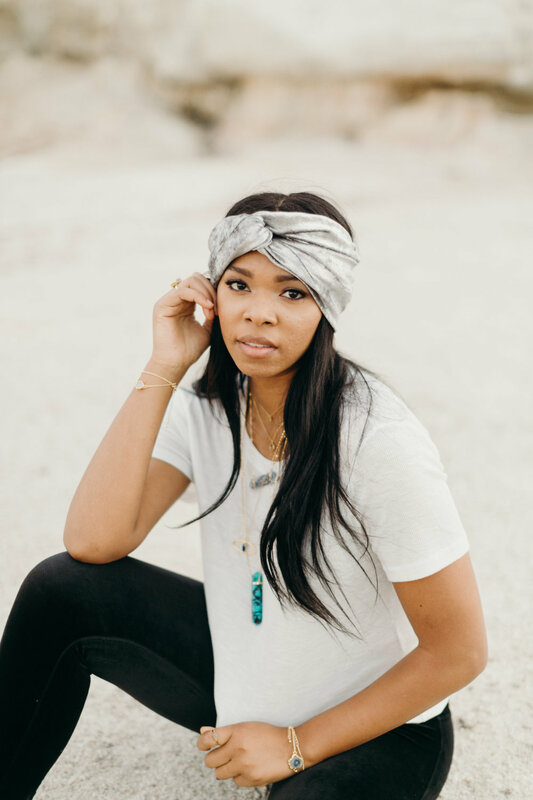 Harper Made stands for much more than polished and expressive Bohemian jewelry—it's about providing access to affordable handcrafted jewelry at a reasonable price. From semi-precious stone earrings to agate slice necklaces, there's plenty of expressive adornment to go around. What does Harper Made mean to you? My brand is everything to me! I design for women like me who want that connection to nature while stylishly expressing themselves. Girls who don't want to spend a ton on accessories, so they have more money to explore and travel. I am my own best customer and basically a walking Harper Made advertisement at all times. Harper Made originated in hobby form in Nashville, TN and is now based in Denver. Most gemstones are sourced and excusivley shaped directly from South America. You'll never spot Amanda without 5-12 pieces of jewels at all times. What Was the First Piece of Jewelry You Created? An agate slice necklace 6 years ago—still have it and wear it sometimes! I loved how it turned out and that is probably what fueled a jewelry making obsession that led me here today. I originally started making jewelry with many found and vintage materials. Due to the nature of the components, I created mostly one-of-a-king pieces. After experiencing a lot of growth over the past 5 years, I now design pieces on a much larger scale. I have all stones custom cut and design pieces with the intention of making many to send to all my retailers. I really love packing an sending orders. I am still a one woman show and do all of the packaging and sending myself. I know that there are so many great places for people to spend their money on these days, and as I pack each order I get a chance to be thankful that this person chose to spend even a little of their hard-earned money with me. If You Could Work With Another Colorado Maker, Who Would It Be and Why? I would LOVE to collaborate with Jay Davis Bags on her amazing gemstone-adorned purses or Rose and Royce on her amazing cattle skull art. I know that there are so many great places for people to spend their money on these days, and as I pack each order I get a chance to be thankful that this person chose to spend even a little of their hard-earned money with me.